Learn what separates solid, reliable research from lesser, misleading evidence. Not all research studies are created equal. While most don’t have flawed methodologies, some do. You need to know what separates good studies from the bad ones, and why, then learn how to conduct your own impeccable research. When you graduate from Curry’s Research, Statistics & Evaluation (RSE) program, you will have gained an understanding of historical and philosophical foundations of educational research, methodological expertise in multiple modes of disciplined inquiry, and practical experience under the guidance of a mentor to design and conduct research. Most of our students choose to develop a plan of study with a focus in quantitative methods, qualitative methods, or program evaluation to match their career goals. If you want to be at the heart of the Curry School's evidence-based research, this program is for you. The goal of this program is to produce graduates with the requisite knowledge, expertise, experience and professional traits to work as researchers, evaluators, policy analysts, assessment specialists and/or professors in a variety of professional settings, such as universities, government agencies or contract R & D firms. 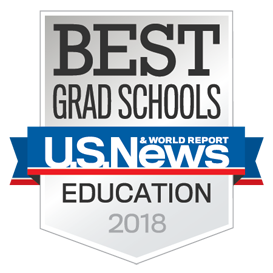 According to Fortune magazine, Statistics is ranked 2nd as the best graduate degree for a job, because the projected growth rate is 16.4% by 2024, and 75% of people in stats jobs are highly satisfied. Master's degree graduates are offered premium salaries. The M.Ed. in Educational Psychology—Research, Statistics & Evaluation program prepares you for advanced graduate study in educational research or employment as a data analyst with an educational research organization. Many of our graduates have been accepted into competitive doctoral programs or employed in school systems, state education departments, testing companies or community colleges. The M.Ed. program features courses that focus on the fundamentals of research design. It also includes elective courses that provide you with a deeper understanding of and expertise in specific inquiry methods and analytic tools. By working with program faculty members, you will learn to apply these methods to actual research problems in education. In earning a Ph.D. in Education—Research, Statistics & Evaluation from Curry, you will become an educational scholar who conducts original research and interprets and communicates the results of such research as an author, university professor, or as a governmental or research agency official. RSE faculty and some advanced students regularly attend the annual meetings and conferences of the national organizations listed above to present research papers at these meetings/conferences.